Almost certainly a species of Leptus (family Erythraeidae). 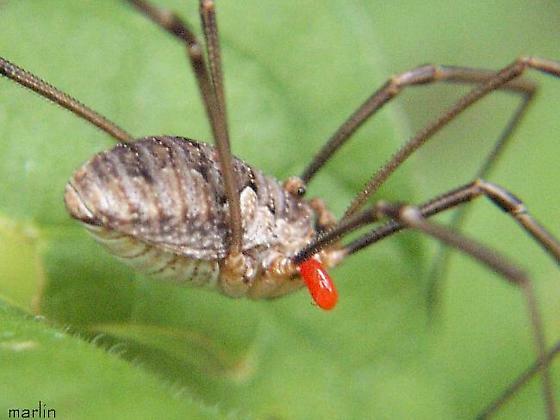 There are a number of species in this genus described as parasites of North American harvestmen. Moved from Mites and Ticks. Images 93855, 84930 & 36531 - Most probably larvae of the family Thrombidiidae or Erythraeidae - Larvae of these families are parasitic, but the nymphs and adults are free living predators. if it might be a parasitic mite, Bruce? I often see them on dragonflies.